What happened to Adam and Eve after they left the Garden of Eden? These two books are considered by many scholars to be part of the "Pseudepigrapha" and form part of The Forgotten Books of Eden edited by Rutherford H. Platt, Jr.  These books are a written account of what happened to Adam and Eve in the days of after they were cast out of the Garden of Eden. 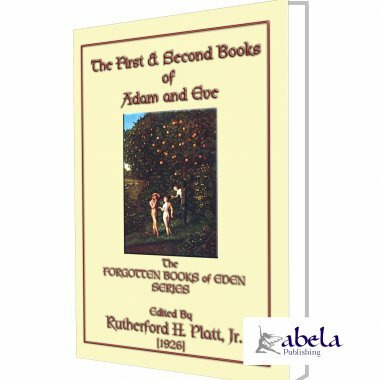 The First Book of Adam and Eve details the life and times of Adam and Eve in the period following their expulsion from the Garden of Eden to the time that Cain slays his brother Abel. It tells of Adam and Eve's first dwelling in the Cave of Treasures; their trials and temptations; and of Satan's many apparitions to them. It also tells of the birth of Cain, Abel, and their twin sisters; and of Cain's love for his beautiful twin sister, Luluwa, whom Adam and Eve wished to join to Abel. The Second Book of Adam and Eve gives an account of the life and times of Cain and his twin Sister Luluwa after they went away until the time that Enoch was taken by God. The "Pseudepigrapha" is a collection of historical biblical works that are considered to be fiction. Because of this, this book was not included in the compilation of the Christian Bible. Although considered to be Pseudepigrapha by some, it carries significant meaning and insight into events of that time. In order to put these two books into perspective, one has to ask how, and why, these writings have survived through the centuries if they are as unsubstantial as many righteous scholars claim them to be? 1 WHEN the accursed serpent saw Adam and Eve, it swelled its head, stood on its tail, and with eyes blood-red, did as if it would kill them. 2 It made straight for Eve, and ran after her; while Adam standing by, wept because he had no stick in his hand wherewith to smite the serpent, and knew not how to put it to death. as if it would kill them. 5 But God sent an angel who threw the serpent away from them, and raised them up. 6 Then the Word of God came to the serpent, and said unto it, "In the first instance I made thee glib, and made thee to go upon thy belly; but I did not deprive thee of speech. 7 "Now, however, be thou dumb; and speak no more, thou and thy race; because in the first place, has the ruin of my creatures happened through thee, and now thou wishest to kill them." 8 Then the serpent was struck dumb, and spake no more. 9 And a wind came to blow from heaven by command of God that carried away the serpent from Adam and Eve, threw it on the sea shore, and it landed in India. XXXVIII "WHEN 5500 YEARS ARE FULFILLED"
XLVI "HOW MANY TIMES HAVE I DELIVERED THEE OUT OF HIS HAND"
LI "WHAT IS HIS BEAUTY THAT YOU SHOULD HAVE FOLLOWED HIM?" LVIII "ABOUT SUNSET ON THE 53RD DAY"
LX THE DEVIL APPEARS LIKE AN OLD MAN HE OFFERS "A PLACE OF REST"
LXVII "THEN SATAN BEGAN TO LEAD ASTRAY ADAM AND EVE"
X "ADAM WAS THE FIRST"
XIII "AMONG THE CHILDREN OF CAIN THERE WAS MUCH ROBBERY, MURDER AND SIN"